Our annual play-reading is always popular, when members have the opportunity to indulge in any secret thespian fantasies they may harbour. Of course not everyone thrills at the thought of treading the boards so to speak, but we all have a go and inevitably have an enjoyable and fun-filled evening. This year was no exception especially as the play was set in Co. Donegal and the accent proved tricky to pin down. Variations ranged from Bangladeshi, through to Welsh with a conflation of Ian Paisley and Worzel Gummidge for good measure. Apart from our own efforts there was humour in the play, but essentially it was a poignant story about a family whose dreams have been thwarted by the domestic, economic and religious limitations of rural life in a small community. The action takes place over two separate days during the harvest of 1936. Lughnasa (pronounced Loonasa) is the Gaelic for August and/or Harvest. The five Mundy sisters live in a small cottage just outside the village of Ballybeg, barely making ends meet. Their ages range from twenty-six to forty. Kate, the eldest, is a primary schoolteacher and the main breadwinner. Agnes and Rose make a little money as home-knitters, while Maggie and Chris have no income. Chris also has a seven year old illegitimate son, Michael, whose adult voice narrates the play, looking back at and analysing the events of that period. Added to the mix is the sisters’ older brother Father Jack, who has recently returned from Uganda where he spent twenty-five years as a missionary priest. Friel explores the interior landscape of this group of human beings trapped in their domestic situation. 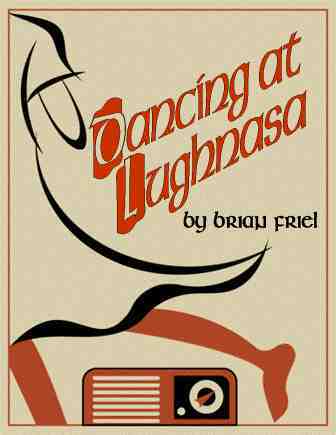 He expertly weaves in Christian and Pagan influences which find expression in various forms of dance. The women spontaneously dance around the kitchen to an Irish tune. They talk of the wild dancing that still takes place in the hills during the pagan celebration of harvest. Father Jack shuffles round the garden to a remembered African rhythm he beats out on two sticks. Chris’s erstwhile lover Gerry breezes in, oozing charm and empty promises. He is a Walter Mitty type character who once again sweeps Chris off her feet, dancing round the garden and down the lane. As the story unfolds it emerges that Father Jack’s homecoming is not going to confer honour and status on the household, as the sisters imagined. Instead, he has been sent home in disgrace having abandoned his own religious beliefs and ‘gone native’. 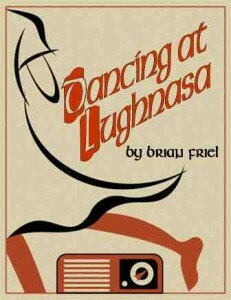 The sense of impending doom is palpable as Friel brilliantly evokes the disintegration of these simple lives. We were all deeply affected by the fate of the five sisters and grateful for the multiplicity of choice available to women in the modern world. We meet again on Thursday 10th Feb. when we will discuss A Week in December by Sebastian Faulks.